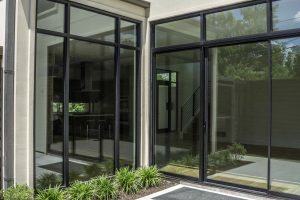 AWS has been providing residential windows and exterior doors to home owners and contractors for both new construction and replacement for over 20 years. For replacement windows and doors we offer free in home pressure free consultations as well as a do it yourself online application for direct pricing without the need for a sales visit. We represent several different manufacturers, so the ability to find a solution that fits both budget and style needs is much greater than our high pressure, single window competitors. For our new construction customers, we can furnish a bid by simply receiving your plans via email all the way up to orchestrated meetings with designers, architects, and home owners in either our Design district showroom or Ellis county conference center. For both new construction and replacement, we offer windows in wood, aluminum clad wood, aluminum, vinyl, fiberglass, composite, and steel frames. We also have access to a large variety of doors in wood, aluminum clad wood, fiberglass, vinyl, aluminum, and steel.